Custom Clothing Labels no minimum requirement ! 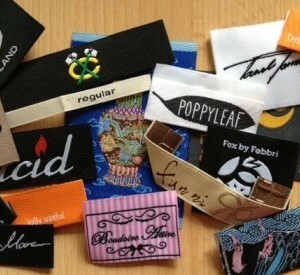 Custom-made woven clothing labels are so important, and they are a must for any clothing business. Here at Perfect Labels-Lanyards, we value both large and small business customers. Many of our designer customers started with us when they just finished college and wanted a low quantity, cheap but top quality customized clothing labels to start their first product in target market. And we are so proud to be part of their clothing line business plan. We offer custom made woven clothing labels at low price, nearly no minimum at 25 – 100 pcs to start with; and with top woven clothing labels quality finishes. 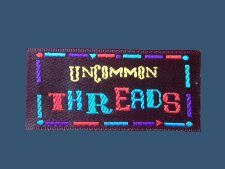 Custom woven clothing labels are ultimate finishing quality, and you can get your own custom made woven labels made in small quantity, low minimum, top quality here at Perfect Labels-Lanyards. We can do short run woven labels production. We provide nearly no minimum for a short run woven label production at only 25 – 50 pcs.